There are times when it’s hard to sing. There are times when an ache in the body or soul becomes an ache in the throat when you try to sing. That was what God’s people experienced when they lost their home, Jerusalem, and were carried into exile in Babylon. “Let’s hear one of your hymns of Zion,” the Babylonians teased the homesick people. “How can we sing God’s song here?” they cried. They couldn’t! They put away their musical instruments. It was the same years later when they finally were allowed to go home. They wanted to be able to sing songs of rejoicing when they reached Jerusalem, but they just couldn’t. They stared at the ruins of what had been their houses and God’s house, the temple, and tears flowed all over again. They were home, but found that they were still in the shadowlands of grief. It is the same now when our lives are disrupted. How can we sing the Lord’s song in a strange land? Israel mourns in exile! Indeed, the land of grief is a strange land. How can we sing “Joy to the World,”—I mean really sing it from the heart—without our life’s partner at our side, without those irreplaceable people we have lost? How can we sing when our hearts are heavy with concern and worry? Everyone else seems to be busy and happy, but the thought of pasting on a smile and pretending to be joyful is distinctly unappetizing. Just when Mary needed to be at home in familiar surroundings with caring people as her due date drew near, the powers that be mandated a journey. Joseph and Mary became temporary exiles. It was not a jolly journey to Bethlehem. It is hard to imagine a more uncomfortable ride: to be nine months pregnant, bumping along on the back of a donkey. And then to go into labor in a strange place with nowhere to go. The birth of Jesus went largely unnoticed in all the hubbub of the tax registration. The revelation of his birth was given only to a few shepherds—nobodies, inconsequential people. It was a small, fragile beginning for God’s act of salvation. Jesus truly was vulnerable. King Herod came close to succeeding in eliminating him. If Joseph hadn’t been listening for a word from God…Thank goodness he listened! God’s way is often small and quiet. 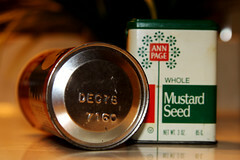 God often works in a mustard seed sort of way. 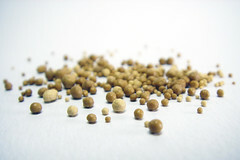 The very kingdom of God is like a mustard seed that someone planted, a grown-up Jesus declared later. From the tiniest of all seeds, a great, hospitable tree grows! God grows his kingdom from tiny, humble beginnings. 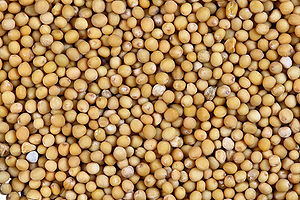 God planted a tiny, vulnerable mustard seed in Bethlehem. Yet the Virgin’s tiny boy is the Lord of the universe!